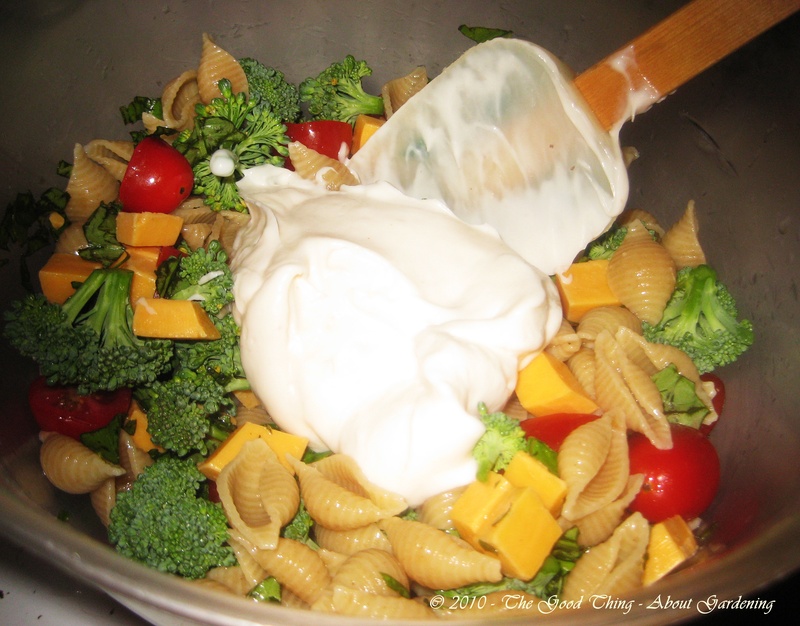 Garden fresh broccoli and basil make a very flavorful pasta salad. 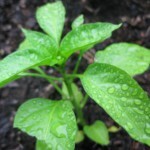 Does anything smell or taste better than fresh basil from the garden? I think not! 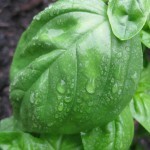 I absolutely love the smell and taste of sweet basil picked fresh from the garden. Broccoli and tomatoes picked fresh from the garden taste so much better than store-bought too. Here’s a recipe that uses fresh basil, broccoli, and grape tomatoes, is super easy to make and is very tasty. 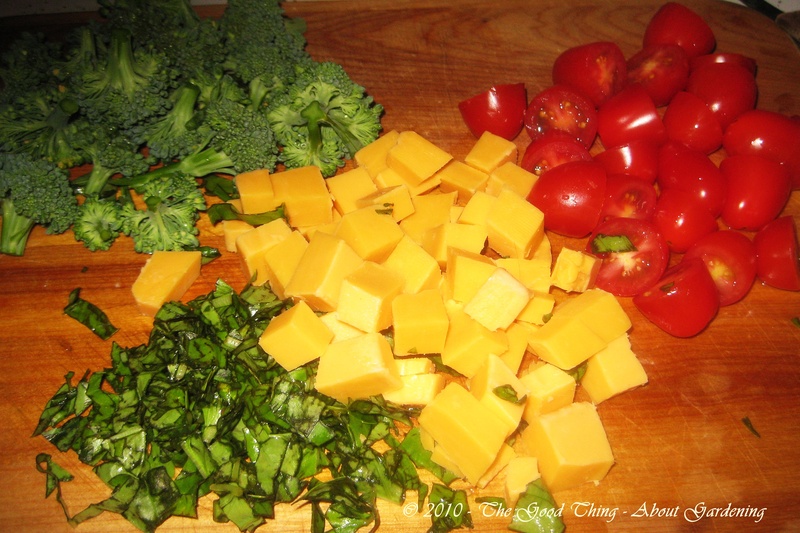 Prepared broccoli, tomatoes, cheese, and basil. If you’re worried about cabbage worms in the broccoli, soak it in salt water to get rid any cabbage worms that may be hiding in the heads. Rinse well after soaking. 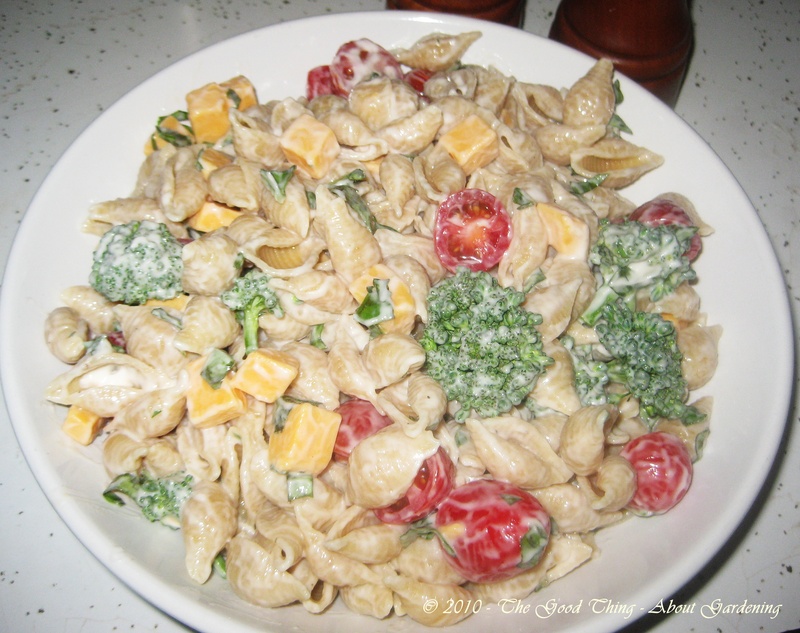 Basil, broccoli, tomatoes, pasta shells. Combine rinsed and cooled pasta shells, tomatoes, broccoli, basil, and cubed cheese in a medium size bowl. Stir in Light Miracle Whip. Salt and pepper to taste. 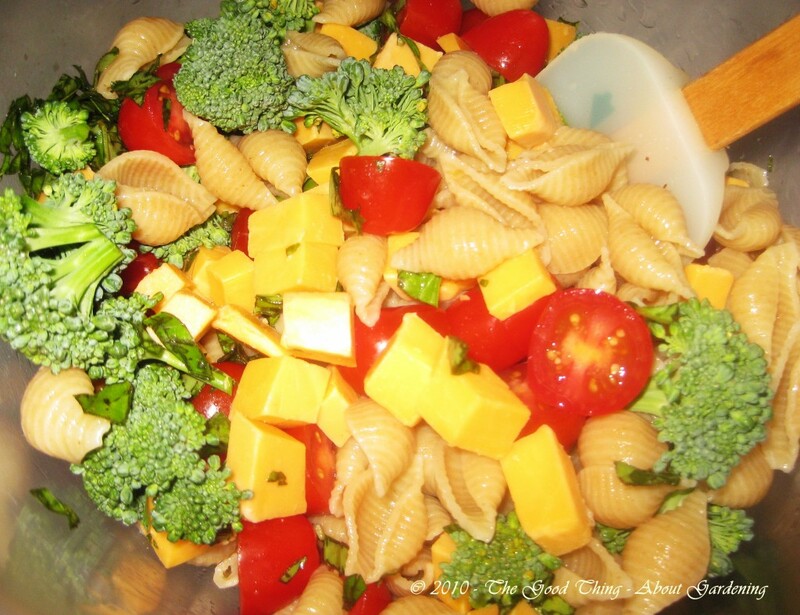 Colorful broccoli, tomato, basil pasta salad. Chill. 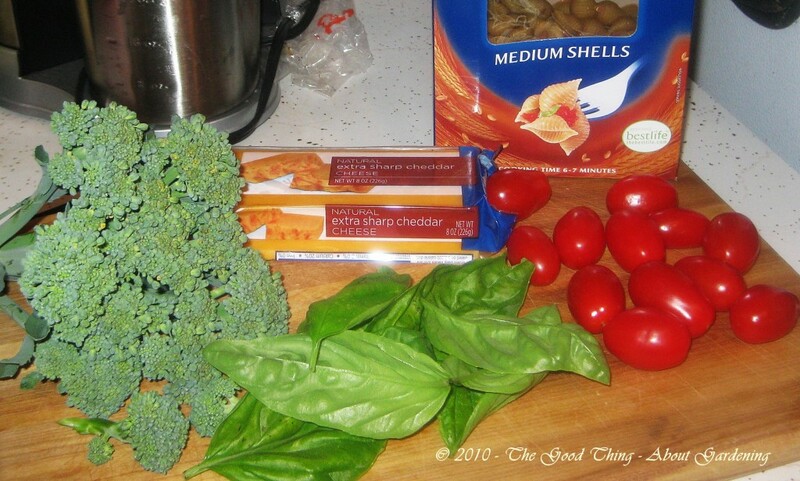 Serve with whole grain bread or crackers. Great for a quick summer meal. Come Again on the Weekday (When I have to work)! 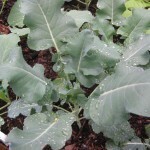 Broccoli, Cabbage, Beans & Cilantro enjoy the rain. 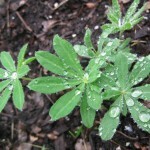 Lupine was winter sown in January and is doing well in a raised bed. Another day of rain yesterday and some overnight has left a very soggy backyard. 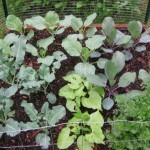 The vegetables in the raised beds don’t mind a bit and are thriving. I have flower bulbs to plant, but will wait until the ground dries out a bit. 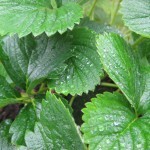 I may get them started in pots if the rain continues. I will need to re-apply the insecticidal soap after the rain to keep the pests off of the beans, as they are getting chewed on.